Home > Our School > News > General > B.R.A.V.E Bully is coming to Holy Name! 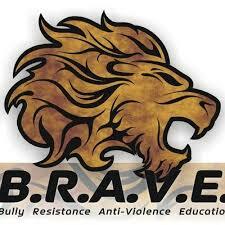 B.R.A.V.E Bully is coming to Holy Name! In recognition of Bullying Awareness and Prevention week, we will be hosting presentations from B.R.A.V.E Bully on November 26 and 27. Grade 1 through 8 students will be completing their Level One program which gives students practical tools to manage day to day conflicts. Students will learn Bullying versus Conflict, The Four Types of Bullying, Presence: How we can use Body Language and Tone to set healthy boundary and In the Moment Strategies: Walk Away, Talk Away and Block Away. We look forward to helping students build effective strategies to deal with conflict. Previous Story Previous post: “Ava and Friends” to Preform at Holy Name November 20!